NFA Girls Track Team Sets School Record! The NFA Girls Varsity Track 4x800m relay team was invited to the Dr. Sanders Columbia Challenge track meet. The prestigious meet hosts college teams with only two high school events. 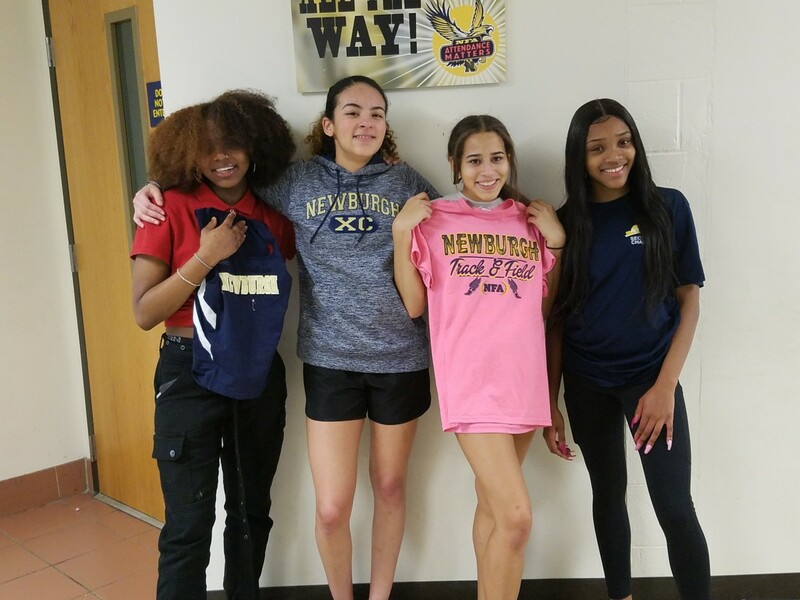 The relay team of Alondra Cruz Delgado, Jazmine Barnhill, Gloria Kirkland and Amilia Wise Sweat ran at the New York Armory track in Manhattan and set a new indoor track school record!